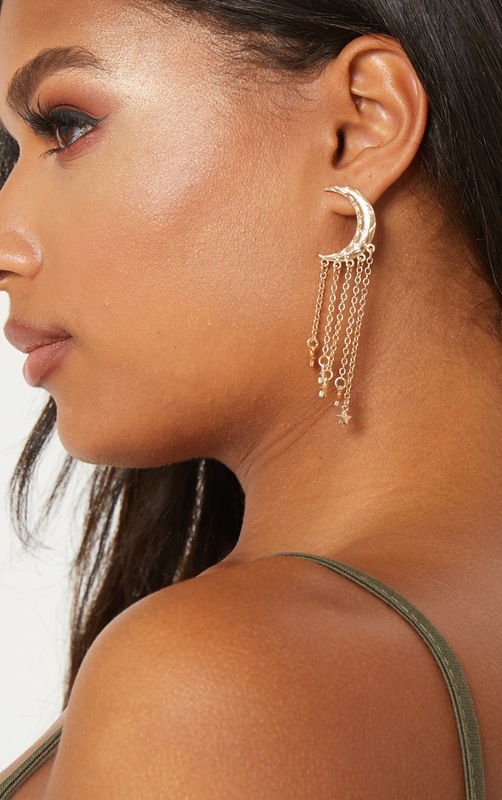 Take your look to next level lit with these tassel earrings. 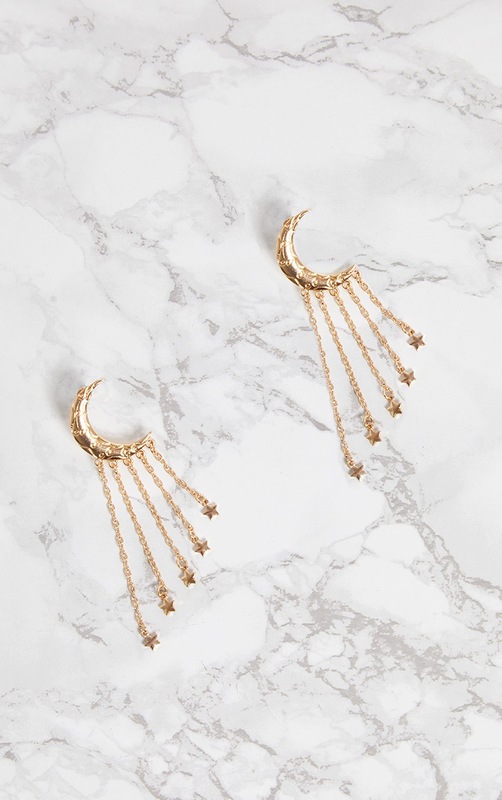 Featuring a gold moon and star design with tassels that will make any outfit pop. 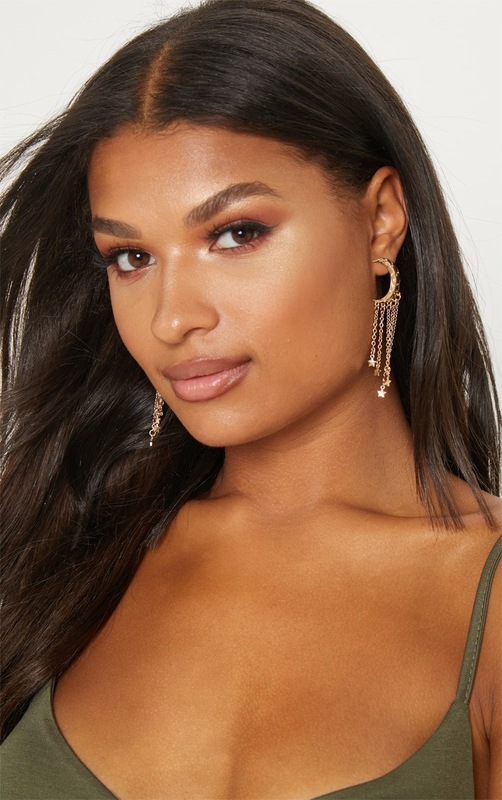 Style with your going out look or wear them with your fave vacay pieces.